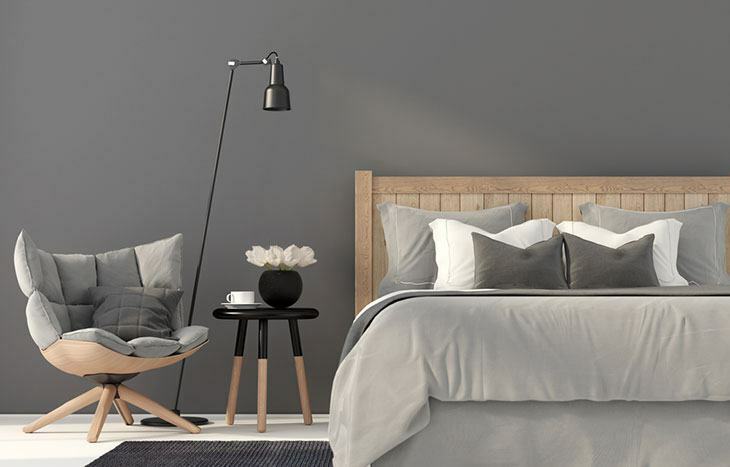 If you want to achieve a modern but edgy look for your bedroom, grey is the color that you should pick. Grey is one of the most popular neutral colors, which is not only calming but also versatile enough, making it perfectly complement a wide array of decorating ideas. As a neutral color, some people might find grey to be a boring. It may lack excitement and may seem to invoke a timid personality. If you want to add more life to a grey bedroom, consider choosing one color that can create the perfect contrast. In this case, red will surely stand out. 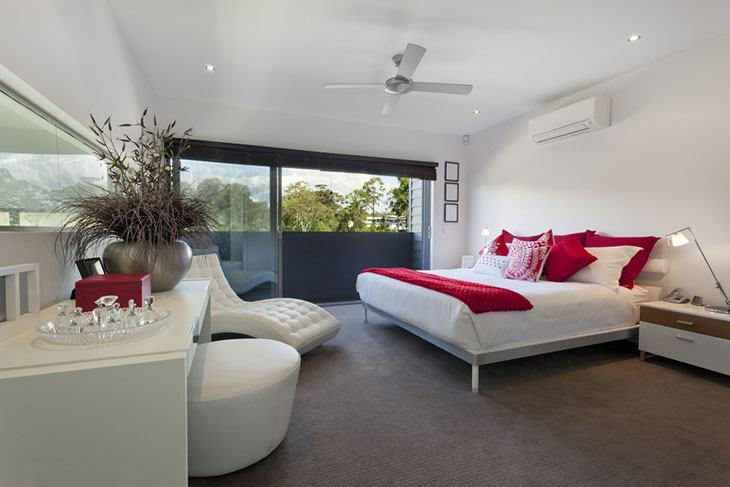 There are many ways to add a hint of red in the bedroom. One of the simplest is to use red pillow or red beddings. You can also have a red headboard, accent chair, ottoman, small table, or curtains, among others. Another way to add life to a neutral bedroom is to make it bright and vibrant, possibly reminiscent of summer. An all-gray bedroom can be too dark for people with playful and fun personality. 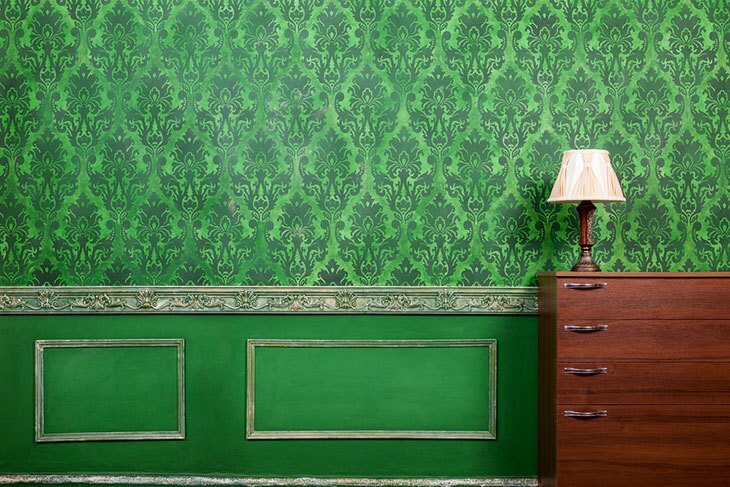 With this, adding green and yellow is a good way to enliven the room a bit. Even with grey as the main color palette for your bedroom, you can achieve a royal look. After all, it is not just about the colors. Pay attention to the accents and décors to achieve a look that is perfect for a king or queen. To pull off an opulent style, one thing that you can do is to use a silver headboard with ornate details, similar to what you can see in palaces. You can also add a rustic chandelier or a charming mirror. A huge accent chair that looks like a royal throne will also be a great addition to the bedroom. Grey is one of the most popular colors for men because it exudes a masculine appeal. One of the best ways to utilize this color is to have exposed concrete. Meaning, do not paint the walls. Leave it as is, especially if the color of it is naturally grey. To complete the masculine appeal of the grey bedroom, you can add decorative pieces that will show off your manhood. Hanging a bike by the wall can be a great idea. A shelf with balls, mitts, and other sports-related items will also be good. Grey is also the perfect choice if you want to achieve an industrial look in the bedroom. Simply put, it is all about creating raw and rough surfaces, often including bare wall and exposed ceiling, among other interior elements. 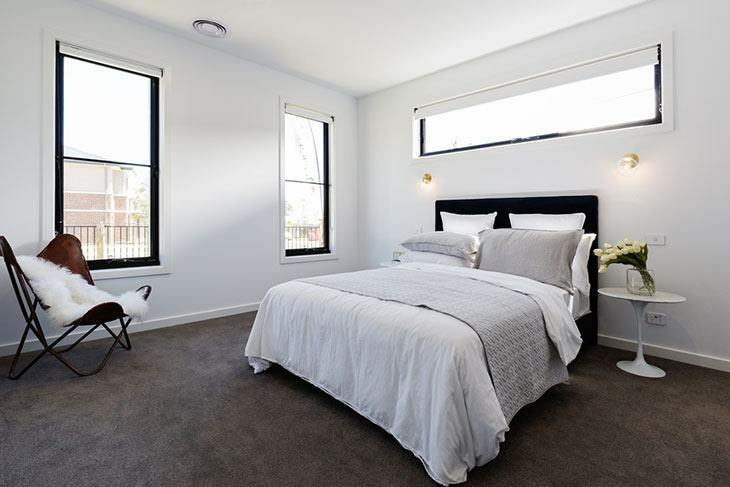 One of the ways to achieve an industrial design is adding gray bricks, which can also be your headboard. Do not paint the walls and leave it grey. You can also use pallets and old woods for decors, including a DIY shelf. Be sure to choose lights that will complement the industrial appeal you wish to achieve. 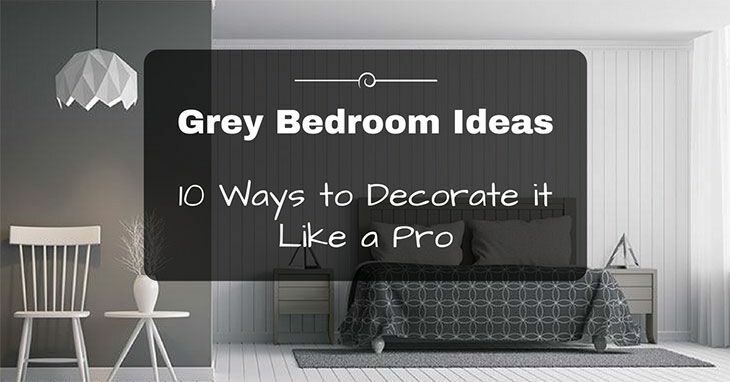 One of the best ways to prevent the bedroom from being boring is to use different shades of grey. For instance, you can use lighter shade for the bedsheets while the walls are darker. You can also do the same thing for your curtains. Be playful with shades and you will be surprised with how beautiful the outcome may look. With the different items that are found in the bedroom, you will be provided with different opportunities to use different shades. Window treatments, beddings, chair, art, table, and carpet are just some of the parts where you can create contrast with different shades. Another way to add flair to a grey bedroom is to use bricks. Make sure to choose a color that is as close to the shade of the grey color on your wall. One of the best ways to add bricks is through having a fireplace, which can even be functional in keeping you warm during the cold weather. You can also build a headboard using bricks. You install bricks from floor to ceiling or just a specific portion, depending on which you prefer. It will also be a good idea to add metallic accents in the bedroom, which will surely stand out amidst a grey backdrop. Plus, it will also be a great way to add a hint of opulence to the bedroom. One of the best things to do is to use gray wallpaper with metallic tones. In the same way, you can also have a headboard with metal studs. Using metal accent lights is also a good way to achieve this look. 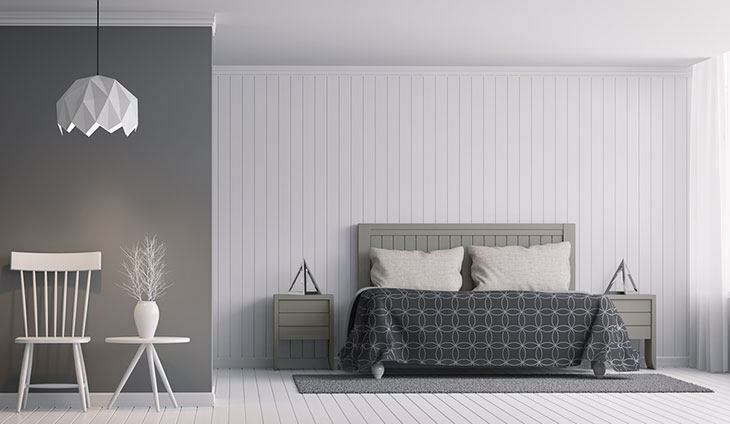 Whether you are an artist or not, you can make your bedroom artsy while sticking to the grey theme. It does not need to be bursting with colors. Even if it is toned down, there are arts and crafts that you can add to pull up a beautiful design. You can add a painting, which will serve as the centerpiece in the bedroom. You can also paint the wall with graffiti. Drawing on grey wall using chalk is also a good idea. To add, rather than buying expensive decors, you can do DIY crafts. In some instances, the simpler it is, the more beautiful your bedroom can be. This may be boring for some, but for others, it can be the best choice. It can provide you with the clarity of mind. Your private space will be more relaxing and can induce sleep better. Keep the room clean. Aside from the bed, refrain from adding anything else to the bedroom. Remove the chairs, tables, frames, and other decors. Now that you are done reading, we hope that the grey bedroom ideas mentioned above were able to provide you with inspiration to decorate your private space at home. A little creativity to spare will go a long way. Do not be afraid to experiment and explore new ideas (Source). Do you have any other decorating idea that you would like to add? Feel free to share it in the comment section.